Shore Western Manufacturing provides test equipment to labs who are helping with the advancement of modern bionics that bring mobility back to individuals who have lost limbs, or have impeded use of their joints. Biomedical systems are able to replicate the kinematics and kinetics of human joints and limbs for testing synthetic replacements. Using the direction of medical device manufacturers and orthopedic academics, our systems were developed to closely simulate the complexities of the human anatomy. 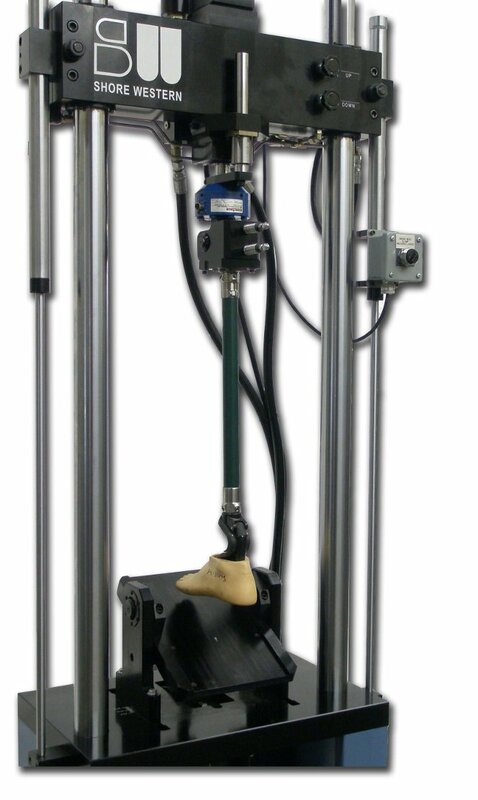 Shore Western Manufacturing builds systems to test hips, knees, ankle/feet, and the complex multiple degrees of freedom spine. Our Real Time Active Control (RTAC) algorithm is adept at reproducing highly non-linear forces. For example, the force in a walking foot is controlled and adjusted in real time via the angle of the lower platen and the vertical actuator position. A capability not shared by our competitors. 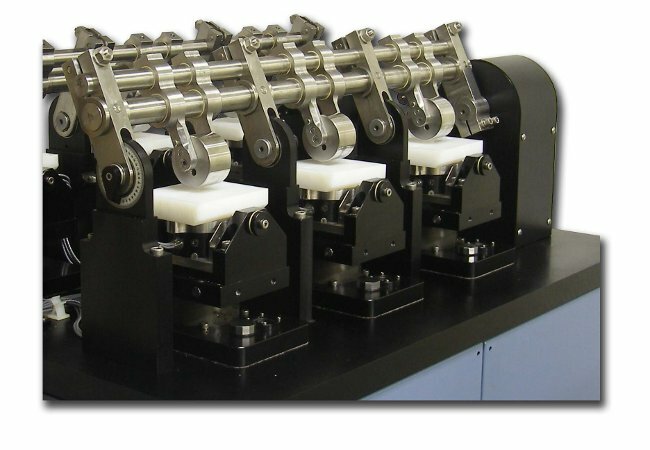 In addition to our specialized systems, Shore Western also builds standard uniaxial, and tension/torsion load frames, which are used by researchers to test samples. 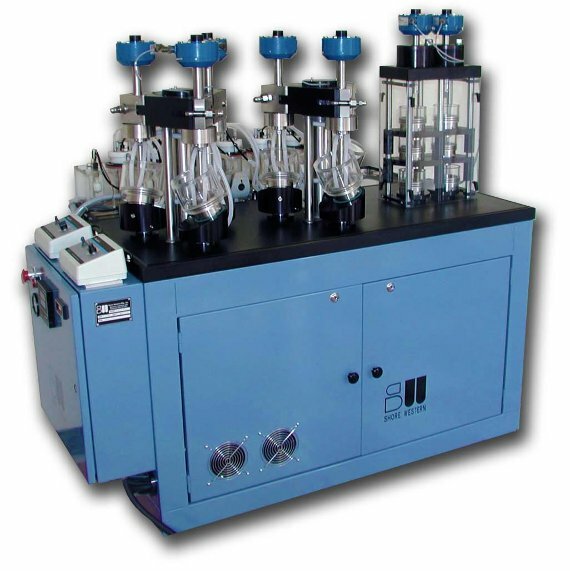 Our table top load frames are compact and can be used for a wide range of applications.